You can use it to find some truly remarkable Father’s Day gifts this year. Some gifts are just for drinking. Some are for making. Some are for displaying and showing off. In this post, we offer 50 different suggestions, any of which could be your perfect solution for Father’s Day. 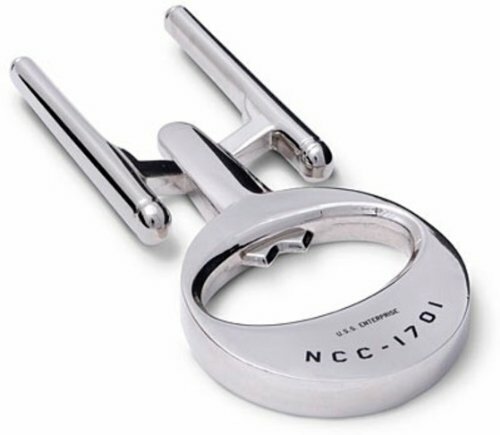 Some of them are simple and even a little silly, such as a Leather Beer Holster or a USS Enterprise Bottle Opener. 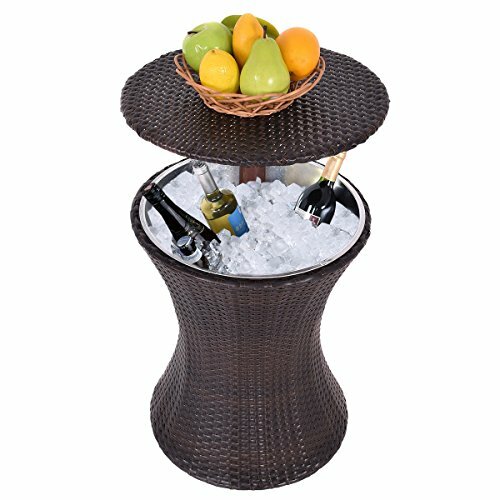 On the other hand, there are many more refined options on the list such as a Waterford Decanter Wood Tray Set and an Outdoor Wicker Patio Bar. 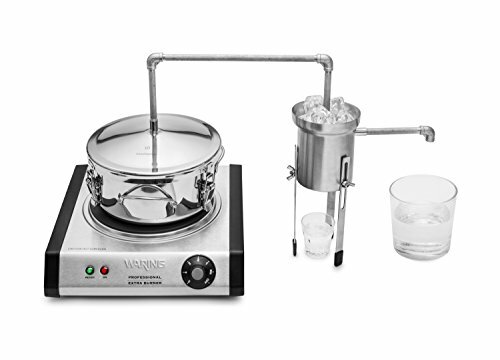 There are also tools for making cocktails, infusing alcohol and brewing beer. 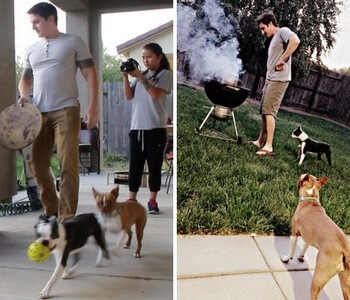 As a result, you’re likely to find at least a few items that would be absolutely perfect for your dad. If nothing else, the images alone should help spark some inspiration. For anyone that loves drinking, having the right tools is critical. 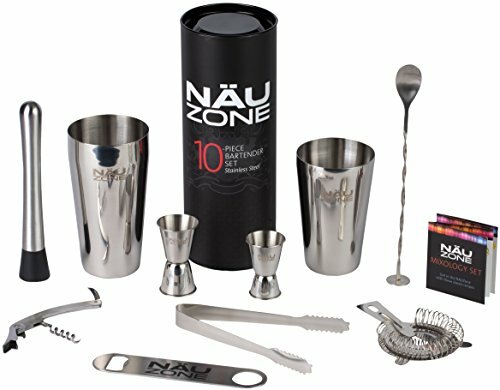 This Bartender Kit offers all of the basics for creating cocktails, including shaker cups and a miniature mixology guide. The kit works great for beginners and is also very portable, as it will all go back in the container. 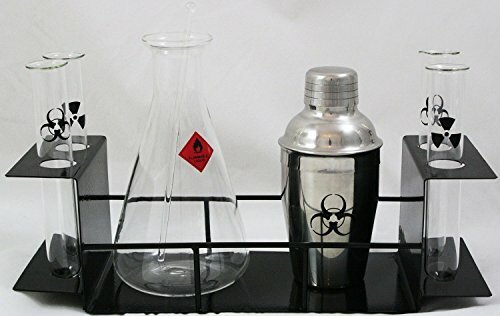 A bar set is great for making cocktails but having some direction also helps. That’s where this book comes in. It offers more than 1,000 different cocktail recipes, including classic cocktails and modern ideas. The book also has related recipes, such as infusions, garnishes and alcoholic punches. 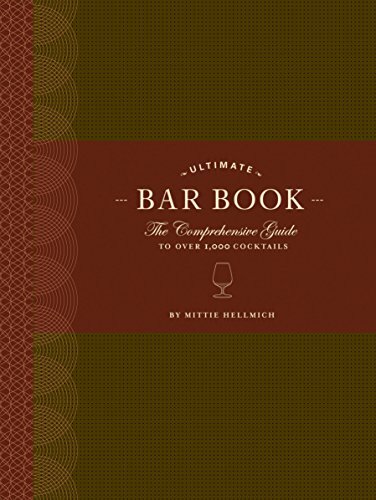 The end result is a comprehensive cocktail resource that is perfect for beginners and for more experienced cocktail makers. This gift set is designed with the whisky drinker in mind, although it is equally relevant to other types of spirits. 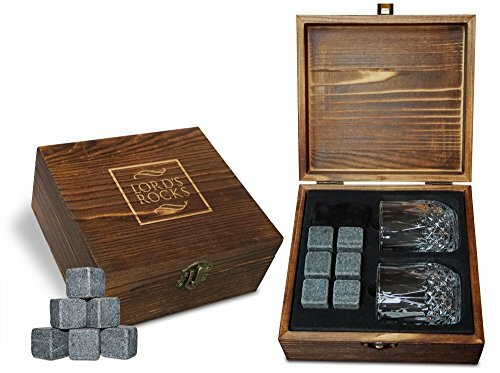 The whisky stones are a powerful way to get the desired coolness with your whisky, without diluting the whisky in the process. The included glasses make the entire gift work well and it’s hard to have too many whisky glasses. This is another gift set that looks great in the box. It is also a customized option, so you get to choose what is engraved on the front of the flask. The company offers 15 different templates for the design and you then get up to 4 lines of engraving. 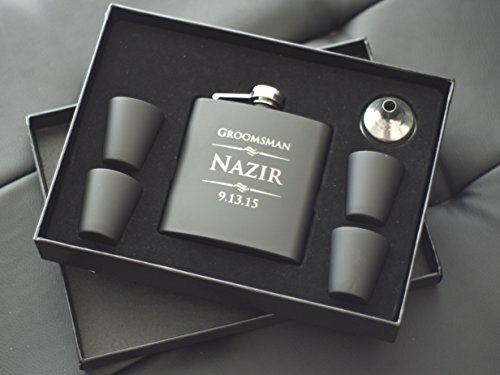 The end result is great for Father’s Day and the same seller also offers multiple variations of flasks and packaging for you to choose from. This seems like the perfect gift for any geeky dad, especially as it is actually an officially licensed product. The ship in question is from the original Star Trek series and does come with the inscription on it. Besides, one can never have too many bottle openers, as they have a bad habit of getting lost at just the wrong time. 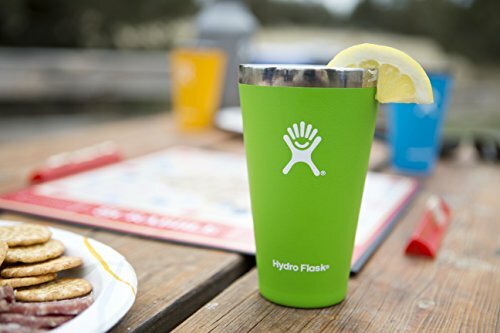 Hydro Flasks are designed to be high-quality choices for your drink and they don’t create condensation in the same way that regular pint glasses will. The insulation also means that your beer will stay cold, without freezing your hands in the process. The only catch is that there isn’t a lid – but these are designed for pints of beer and you certainly don’t want a lid for that. Here’s an option that is silly and fun – making it a great easy gift. This Beer Holster simply attaches to the belt loop and will work with any belt that is 1.5 inches or less in width. The holster makes it easy to carry beer bottles or cans on the go and would be perfect for barbecues – or any time where dad needs both hands free. 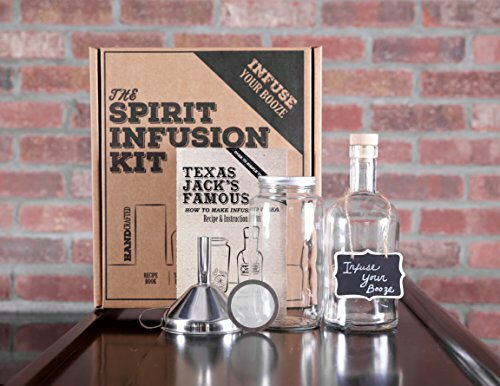 This set offers all of the tools and information needed to infuse spirits. The book included also has more 70 different recipes for unusual spirit infusions. It is on the small size, with one 1,000 ml jar and one 750 ml bottle. However, this will be more than enough in most situations and certainly makes for a fun gift. The overall idea here is to infuse vodka. However, the same general principle and tools can be used for other spirits as well. While we’re on the topic of infusing spirits, here is another product, one that is considerably simpler. 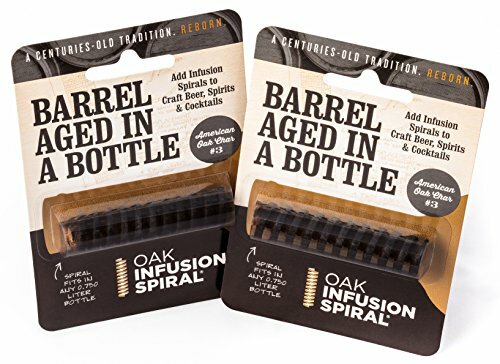 Basically, this is just a spiral of oak would that you can place in any 750 ml (or larger) bottle. By doing so, you get some of the flavors that come with oak aging, without having to rely on an oak barrel to do so. The approach also helps to mellow out cheaper alcohol, making it taste better overall. 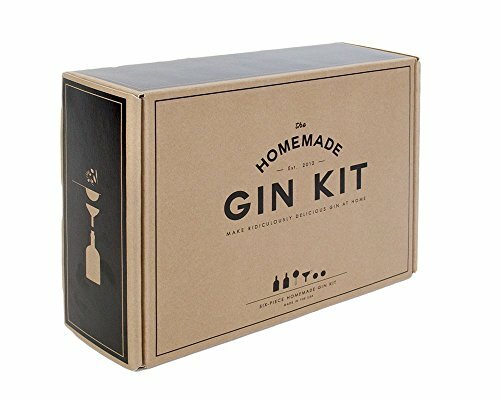 For anybody who loves gin, this kit is a must. It is a very simple option, with two glass bottles, a funnel and the berries and herbs that you need. Nevertheless, the product is well-designed and makes it extremely easy to create gin from vodka. The gift also works well for anybody that like the concept of making their own alcohol but doesn’t want to invest a large amount of money to do so. 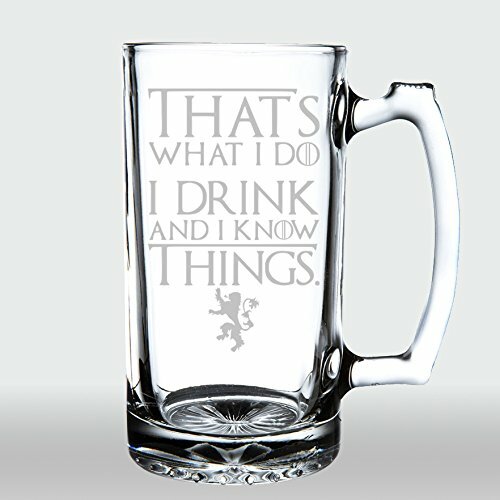 If your dad is a Game of Thrones fan, then this beer mug makes a particularly entertaining choice. The mug itself holds 28 ounces of beer and uses thick glass, resulting in a sturdy product overall. The same company also offers other Game of Thrones glassware, including pint glasses and shot glasses, along with other geeky glass options (like Final Fantasy). 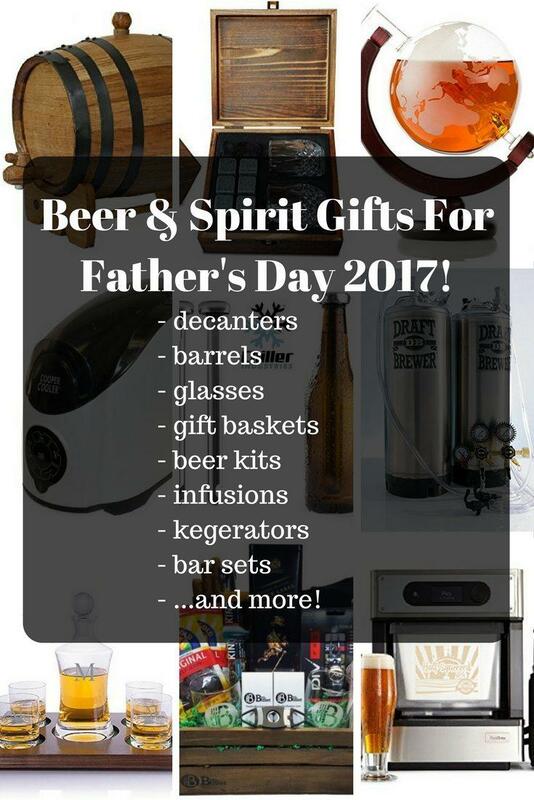 So, you could get multiple gifts or choose whichever style best suits your dad. This may be a simple gift but it is also a powerful one. The stick is kept in the freezer for around 45 minutes prior to use and can be a great way to keep beer cool without watering it down. 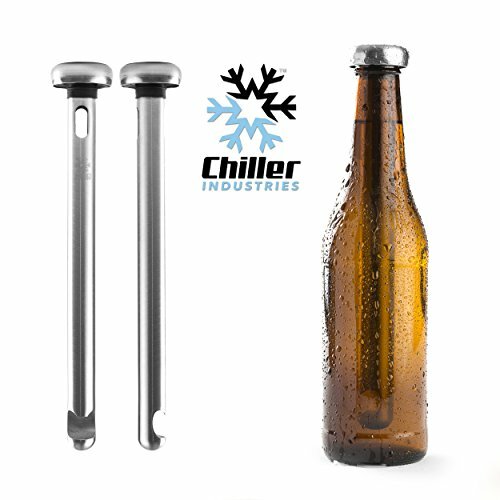 Another use would be to open the beer and reseal it with one of these, ensuring that the beer is cold when it comes time to drink it. There are two versions of this kit on Amazon and the more comprehensive option is shown here. But, regardless of your choice, both kits are great introductions into craft brewing and are perfect for making small amounts of beer. Instructions are also included, so your dad doesn’t need any experience with beer making to take advantage of the kit. 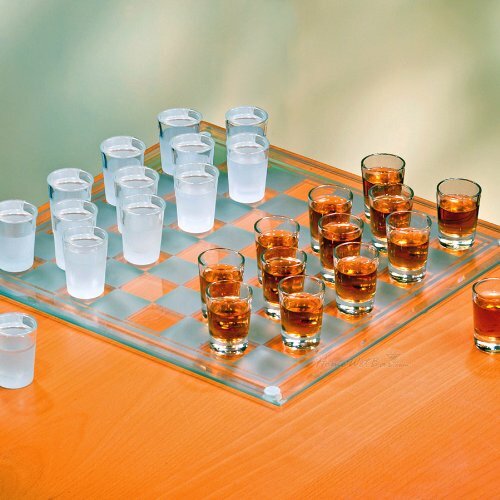 Drinking games are always fun and this Shot Glass Set is a simple but entertaining example. One of the best things about it is that most people already know how to play checkers, so there are no rules to learn. Additionally, many other drinking games require a group of people, so it’s nice to find a two-player game that is still fun. Speaking of drinking games, here is another fun one. This time it works better with a large group, although you could still play it with two people. It’s worth noting that the shot glasses are made of glass but they are about half of the standard shot size. In most cases, that size difference isn’t going to be an issue and could be a good thing for people who don’t want to get drunk too quickly. 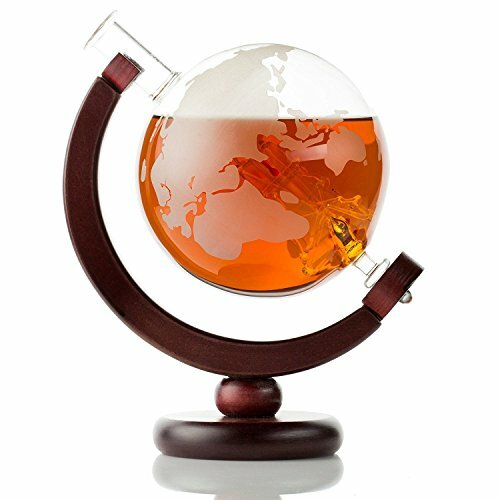 This may not be the most elegant or comprehensive set of barware but the style makes for a funky gift – especially for anybody who is a bit of a nerd. If nothing else, the overall style would make for some fun drinks and does promote experimentation. 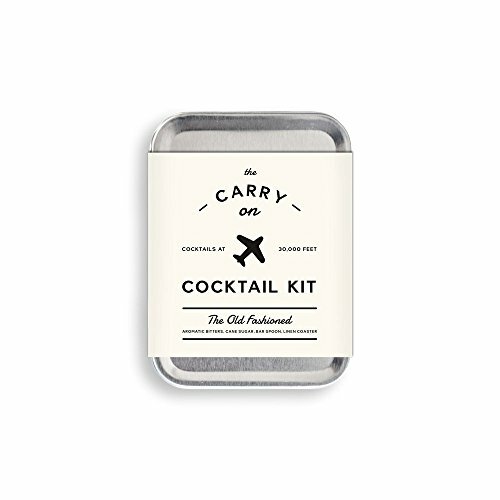 This kit seems like it would be the perfect gift for any dad that will be traveling soon, especially if he loves his cocktails. The kit itself contains all of the ingredients (except the alcohol) that you need to make a cocktail, with the pictured example being an Old Fashioned. The entire kit is TSA compliant, meaning you can easily take it on a plane. As for the alcohol, you could get small bottles from many airport stores and some flights also allow you to buy small bottles of spirits. 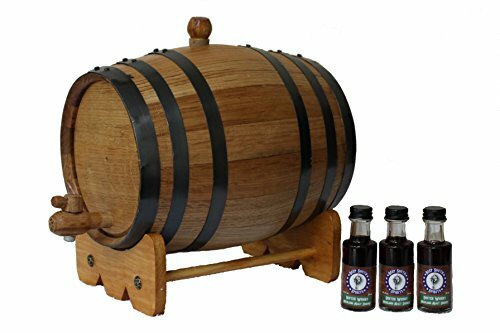 This kit is a fun option for any whisky lover, as it provides the ability to age whisky, resulting in a more refined flavor over time. There are three different sizes on offer here, which are 1, 2 and 3 liters, letting you pick whichever is most suitable. The kit also provides the various components needed to get whisky from the barrel via a spigot, along with whisky essence for the aging process. 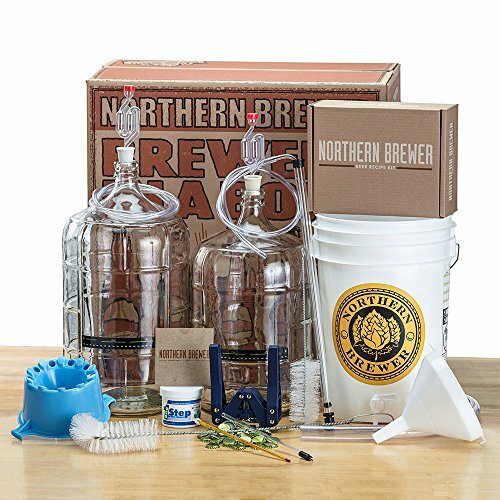 This brewing kit is mostly designed for people just getting started with making their own beer and can be used to brew 1 gallon of beer in around 3 weeks. 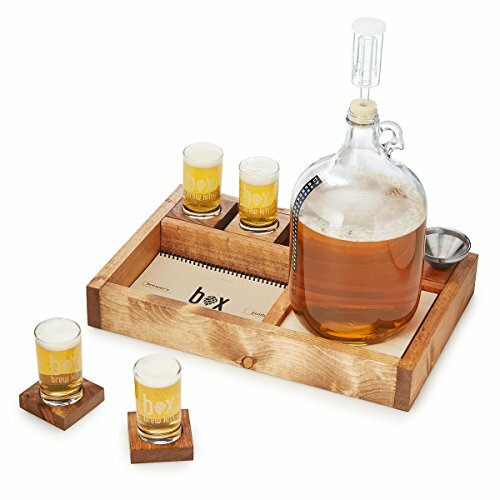 The overall design makes this a very elegant gift and there are also instructions and recipes, in case dad has never tried his hand at making his own beer. The same company also offers recipe kits that provide the various ingredients that are used. Gift sets like this one are always an exceptionally fun option for Father’s Day. In this case, the set offers a unique combination of mixers, along with a bar spoon and jigger. 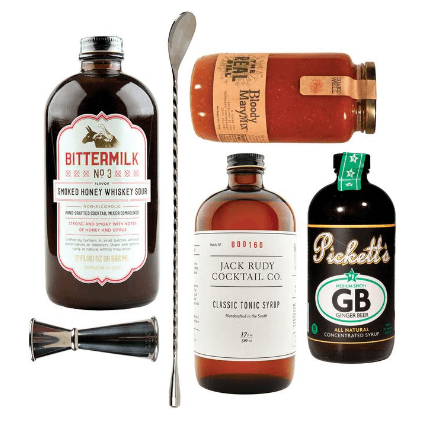 The various components here work well for any dad who loves making cocktails, especially if they tend to enjoy a Whisky Sour or a Bloody Mary. 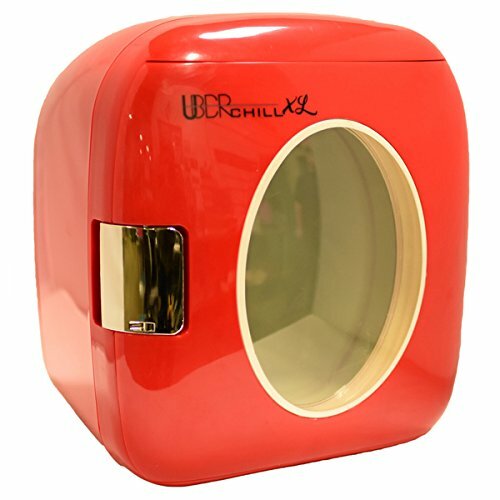 This 12-Can Mini Fridge isn’t specifically designed for booze but it would make for a great personal beer cooler – while also working for any other type of drink. You can fit 12 cans in it (12-ounce) or around 9 bottles (500 ml). The fridge runs from a regular outlet and can also use a 12-volt car cigarette lighter, which offers a ton of flexibility for dads. Plus, the product looks nifty as well, which is always a plus. This is a clever trick for anybody that tends to be disorganized when it comes to cooling their alcohol. The design means that you make cans, wine and juice bottles cold within a matter of minutes. There are also a variety of settings, allowing you to tailor exactly how cold the bottle gets, such as whether the goal is ice cold beer or chilled white wine. Admittedly, homemade glasses and mugs are hardly unusual – but this set of three does majorly stand out. The style here is reminiscent of medieval fantasy or games like Dungeons and Dragons. 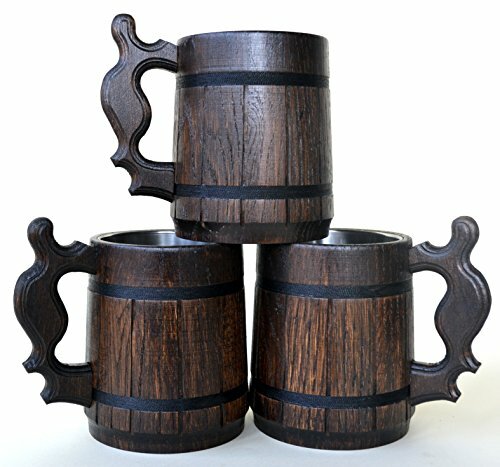 But, even for non-geek dads, the mugs make a unique gift and would be perfect for beer. They also have a stainless steel insert, which is designed to help beer stay cooler for longer. The kit is another option for any dad interested in aging their own spirits. 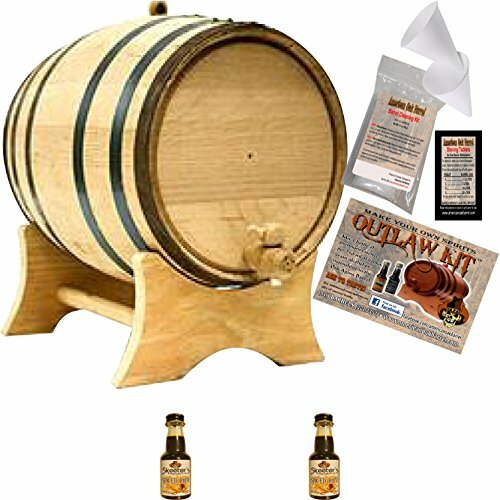 It comes with all of the tools needed to use the barrel and to keep it clean, along with instructions about what to expect. At the same time, the barrel simply looks great and it’s easy to see how it could take a place of pride among dad’s possessions. Speaking of barrels, here is another option that functions in the same general way as the previous gift. However, in this case, the product isn’t an entire kit. 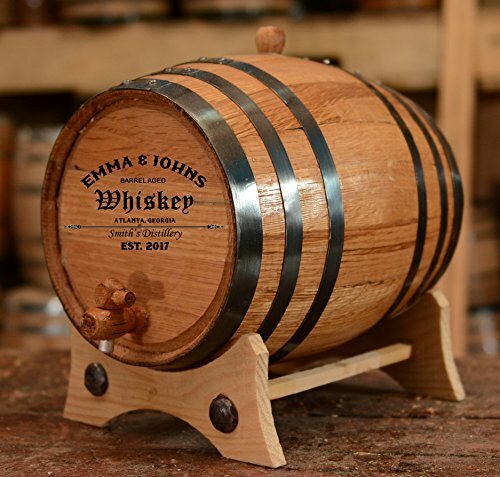 Instead, it is a personalized barrel. As such, you get to choose what is written on it and how the finished style looks. There are also various sizes to choose from, ranging from 1 liter all the way up to 20 liters. 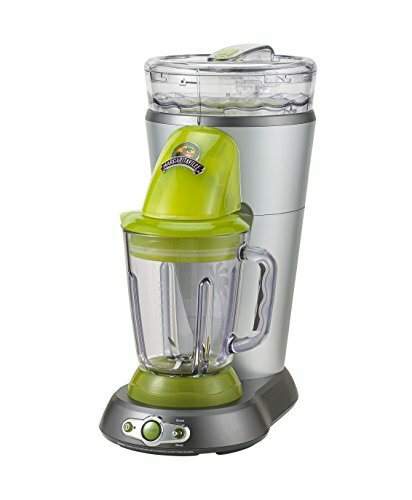 In many ways, this drinks maker is just a smoothie maker – but it does look better than most of the other options. 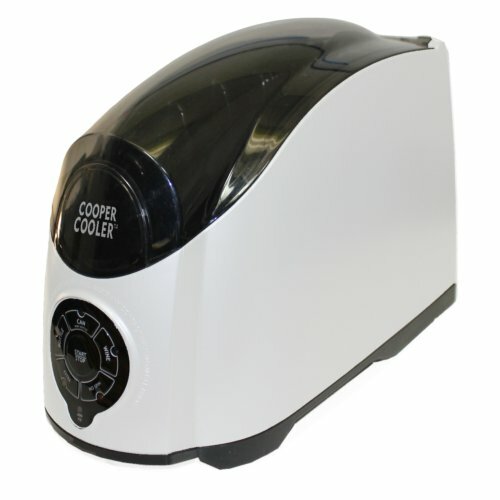 It is also marketed as being a good tool for making cocktails, particularly frozen ones. There is also a freezable cup included that helps support that goal. 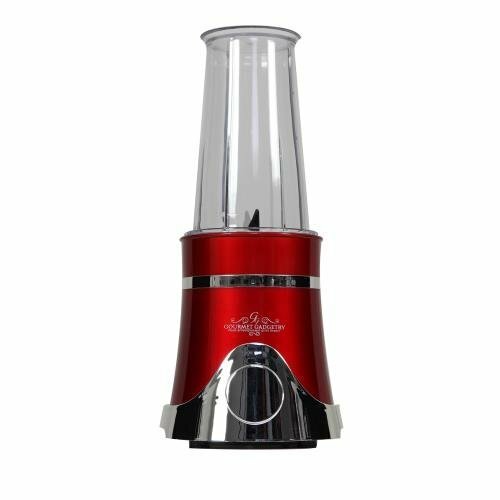 Even if there is already a smoothie maker at home, giving your dad something just for his cocktails can be a great move and this particular product is a fun choice. 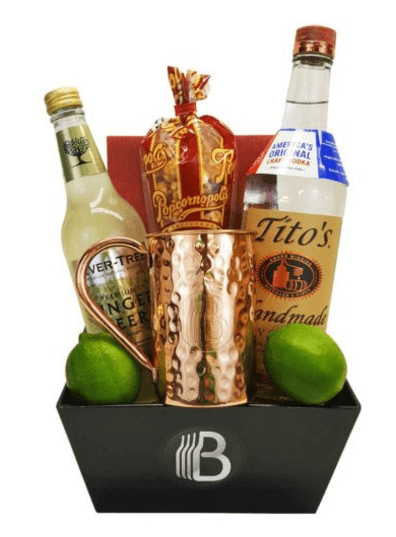 As you can probably tell, this gift basket is made with one specific drink in mind, the Moscow Mule. It has all the ingredients needed to keep your dad making the drink over and over again. Plus, the entire thing simply looks fun. This decanter is both decorative and practical, holding up to 1 liter of whatever spirit dad prefers. For that matter, you could add to the gift by including his favorite spirit with the decanter. One other thing to note is that the decanter actually contains a sculptured ship inside. That isn’t extremely obvious from the image above but the images with the Amazon listing show the ship in more detail. 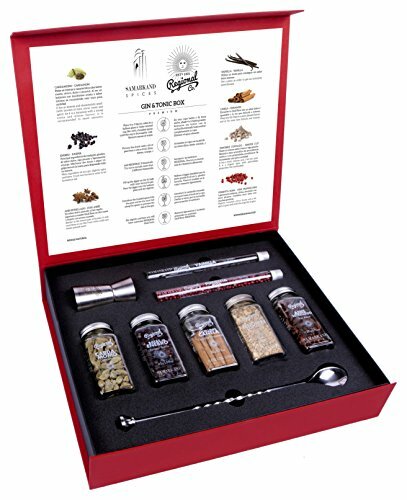 This gift set seems to be designed with more advanced mixologists in mind and offers a combination of 7 different spices and botanicals, along with a dispenser and a spoon. As the name suggests, the various ingredients are specifically designed for making a Gin and Tonic. This makes it a great gift for anybody who loves that drink. There are also instructions provided, so beginners could take advantage of the set too. If you’re stuck for ideas, why not go with a Father’s Day gift that keeps on giving? A subscription service is one way to do that – particularly if you go with something like this, which delivers whisky every month or every two months. This also acts as a great way for dad to broaden his horizons and try some types of whisky that he wouldn’t have normally. There are other variations from the same company too, including bourbon and scotch. This gift crate may not actually contain any beer but it is still a fun choice for any beer lover. In particular, all of the different components use beer in some way or another and most would also be great when paired with beer. The combination of items works well and the gift itself is bound to impress. 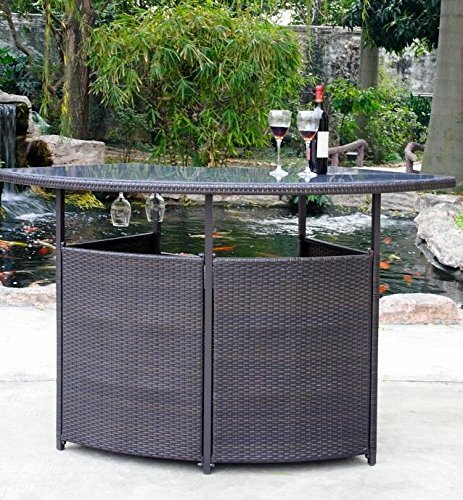 This outdoor table is a must for any dad that enjoys cool beer on a hot day. With it, you have a drink cooler and a cocktail table, all in a single product. The top part can also be raised and lowered, meaning that the entire thing can also be used as a coffee table. This design makes for a versatile product, especially it is easily portable and could be used indoors or outdoors. 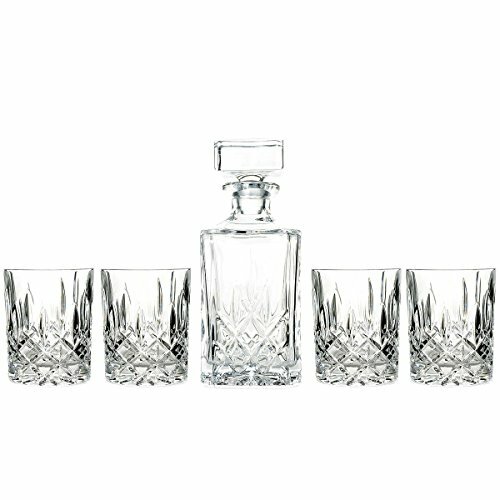 For the refined drinkers, this gift set would make an amazing Father’s Day choice. 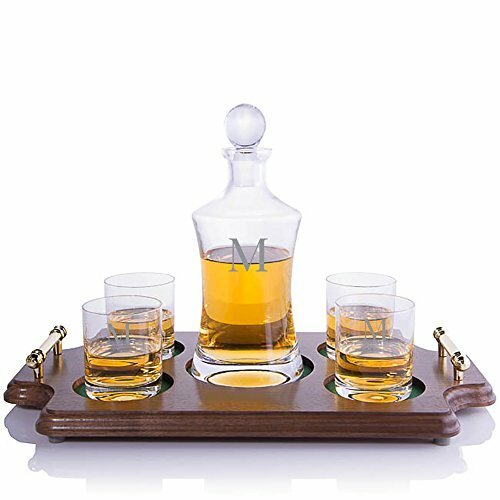 The overall style simply looks elegant, especially as it comes with a customized tray designed for the decanter and the glasses. At the same time, this is a custom product and you get to choose the engraved monogram that is included on it. In many ways, this gift option falls at the other end of the scale and it is certainly intended for people who have a more ‘party’ mindset. But, for dads that do fall into that category, it is a great choice. 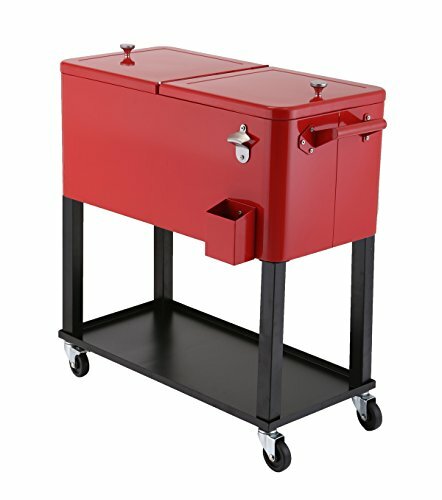 The concept is simple enough too – a rolling cart that stores ice, providing a great way to keep drinks cool. The entire cart is also high quality and has a bottle opener on the side to make it especially useful. This gift is made for any dad that loves mixing cocktails. 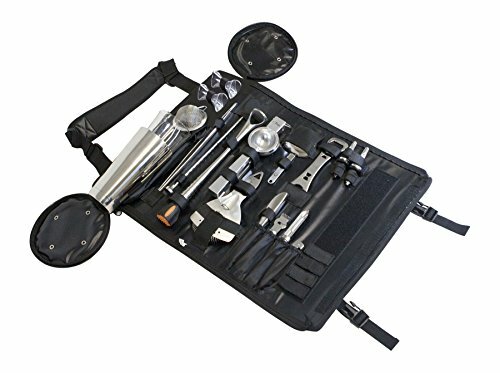 It is a 17-piece professional bartender’s set that contains all of the tools needed to make amazing drinks. Plus, the overall design makes the set easily portable and helps ensure that nothing gets lost. 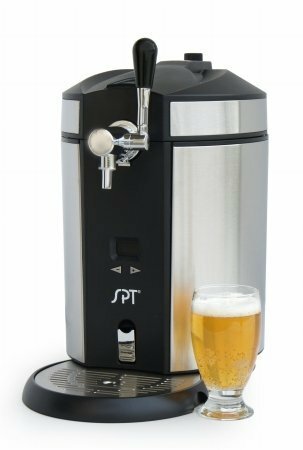 Regardless of whether dad makes his own beer or simply likes serving it, this Draft Beer Dispenser is an effective way to serve beer. 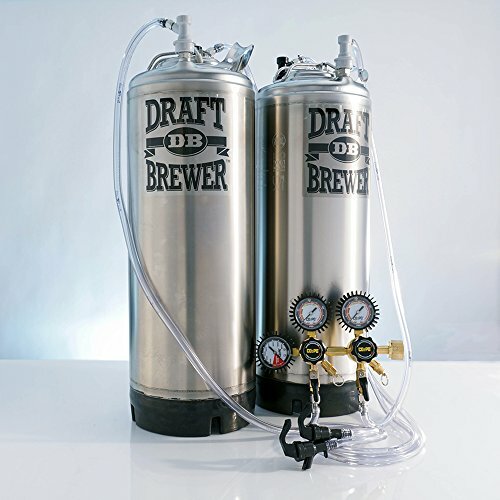 The product can fit a keg of beer or a number of other options, such as 1/6 barrel or 1/2 barrel. The product also looks fairly elegant, which should mean that mom doesn’t mind having it around the house. While we’re on the topic of serving beer, here is a smaller product that does roughly the same thing. In this case, the dispenser is designed to sit on a counter and works well with mini kegs. 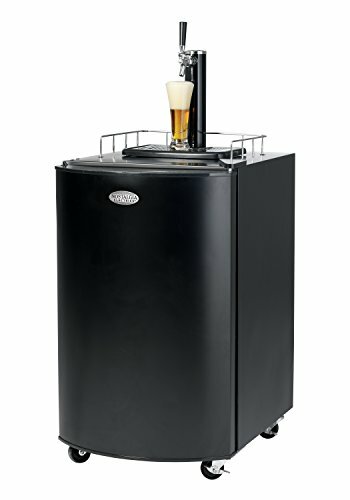 It also has the fittings that you need to tap a non-pressurized keg, along with some brands of pressurized kegs. As such, there is considerable flexibility, regardless of the type of keg that dad tends to use. There have been a few home brewing kits on the list so far but this particular one is very interesting, simply because it is so impressive. It comes with a large number of different components, including a recipe kit, which most similar products don’t have. Additionally, the brand has a strong emphasis on instructions, meaning that this kit will work well even for complete beginners. When it comes to serving liquor, these glasses are another good choice. The style here is extremely elegant, with a design that manages to be both contemporary and old-fashioned. There is no shortage of different gift baskets out there, some of which are more impressive than others. 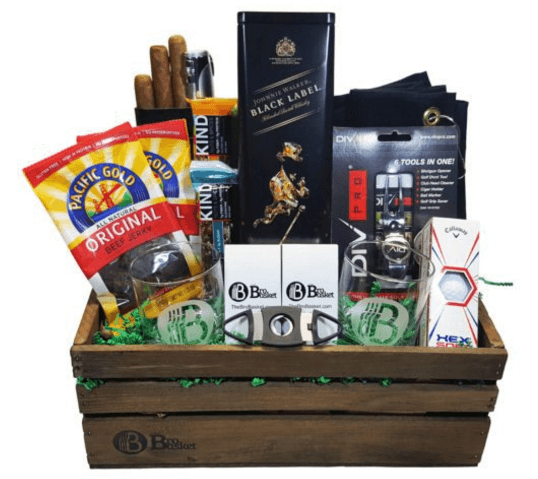 But, this Golfers Delight Golf Gift Basket is easily one of the best that I’ve seen – particularly for any dad that loves golf. Within it are various tools that would work well with golfing, including a tea holder, various golf balls and a golf towel. At the same time, there is whisky and whisky stones, along with a range of other fun additions. There can be no doubt that this is a unique gift but it’s a pretty fun one. The item is basically a small (1/2 gallon) tabletop still that doesn’t rely on running water. The small size and overall style does mean that it won’t ever be as powerful as a typical still. But, that’s hardly the point and the product works perfectly for casual users. 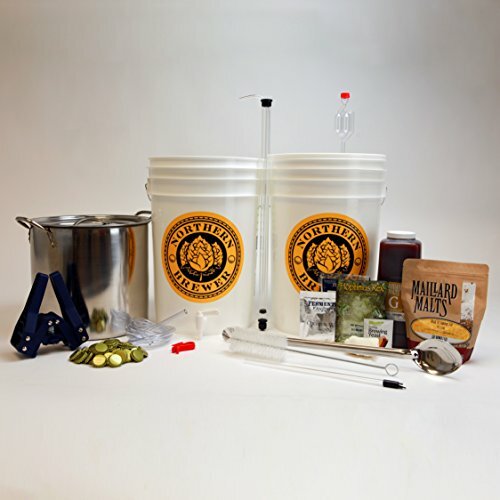 If your dad is interested in homebrew beer, then this starter kit is another option. 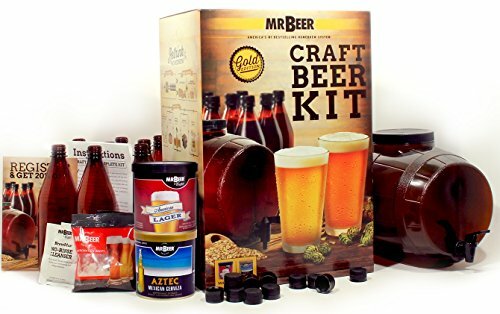 As with other examples, it contains all the instructions necessary to get started with brewing beer, along with the various tools that you would need. Indeed, this is one of the few kits out there that contains the brewing kettle along with all of the other ingredients. It is also a surprisingly cost-effective gift for the sheer amount of components that it includes. Whisky and beer may be the typical ‘manly’ alcohol choices, which is why they’re the focus of this list. But, there are some dads out there that are avid wine drinkers, so we’ve included a few options like this as gifts as well. 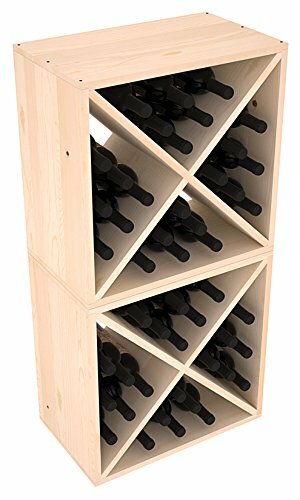 This wine cube is a great way for dad to store his wine and there is a range of different colors to choose from. This system is designed to take the complexity out of making cocktails, meaning that it is easier to get drinks right. The style isn’t for everyone, of course, as many people do love the steps involved in mixing drinks. But, for dads who simply want good cocktails, especially at a party, this could make a great gift. 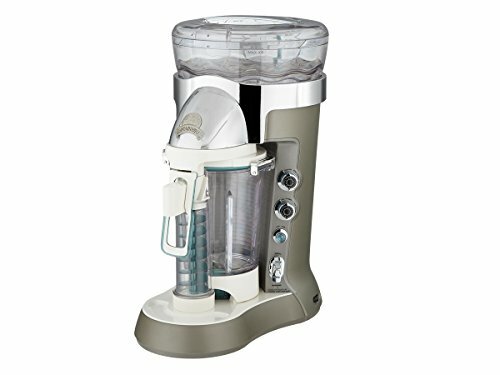 While we’re on the topic of cocktails, this Frozen Concoction Maker is designed with frozen cocktails in mind. While the device is named after margaritas, it also works just as well for other types of cocktails. Indeed, the mixing tool also has measurements for daiquiris and pina coladas, although you’re not limited to those either. One key aspect of the device is that it relies on shaved ice, something that you don’t typically see in frozen drink makers. The device itself also makes a 36-ounce pitcher of the frozen drink, making this a particularly fun tool for parties. This tool may look extremely familiar because it is basically a step up from the previous example. Once again, the device works to make various frozen drinks and is bound to be popular. There are also some differences between this and the previous model. 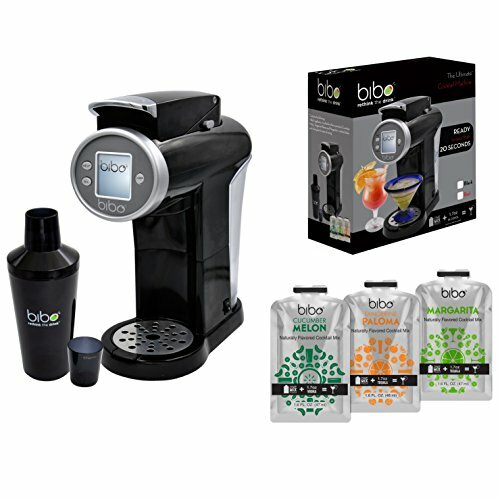 For example, this model has pre-programmed settings for drinks and also allows for two different batch sizes. The device also acts as a dispenser, making the drinks easy to make and to serve. Making home brew beer is a fantastic pastime but finding a way to dispense it is equally important. This kegging system is one option for doing that and it basically acts as a ‘taproom in a box’. The system would make a particularly good gift for any dad who is already involved in home brewing but doesn’t have an ideal dispensing system yet. 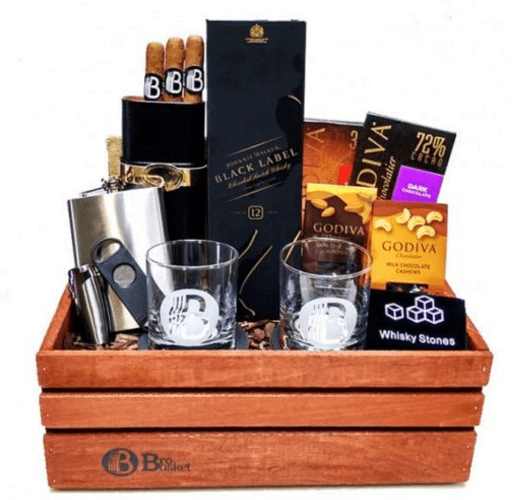 This Executive Gift Basket truly is a Father’s Day gift basket done right. It doesn’t contain a large number of different components but the ones that it has are high quality and very desirable. More than anything, the basket would be a good choice for any dad who loves whisky and chocolate, and for those who enjoy the finer things. 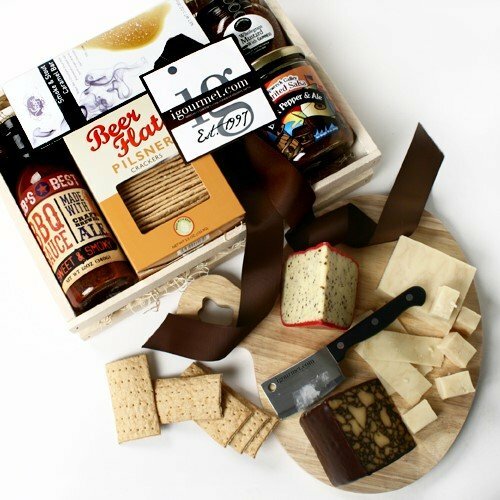 On a side note, the company behind this gift basket offers a wide range of other choices, including many that contain either beer or spirits. So, if this particular basket doesn’t seem quite right, it might be worth checking out what else they have on offer. 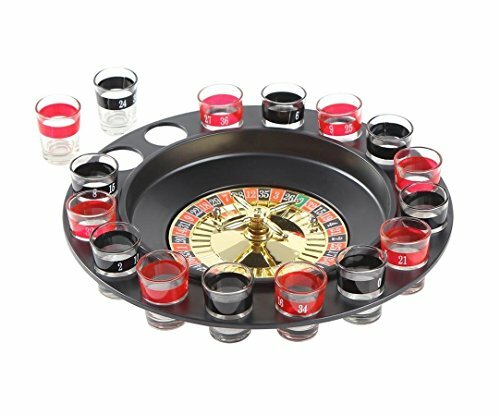 This gift may be on the extravagant side but it is a particularly appealing one for anybody who loves hosting parties and/or serving alcohol. The product itself is a bar for the patio and the various design components help to make it perfect for this role. At the same time, the style would be suitable for most backyards, especially as it is moveable and fairly elegant. This is an extremely unusual gift and basically brings beer making into the modern day. Specifically, this isn’t a dispenser system. 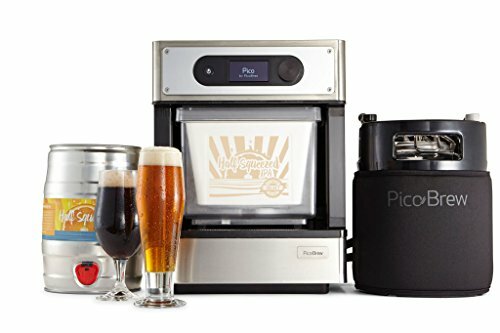 Instead, it is a different way to brew beer and the appliance lets you create a variety of craft beer styles using packs from the company. Now, the style here isn’t going to suit all dads, as some may prefer brewing beer the conventional way. But, for those who like the idea of craft beer and don’t want hassle, this is a great approach. The tool also looks good enough to be stored in the kitchen, which isn’t normally the case for other types of beer making apparatus.